Please post bug reports or issues in the Bugs page. Make sure to identify the correct file you are reporting on. If possible, post a screenshot. 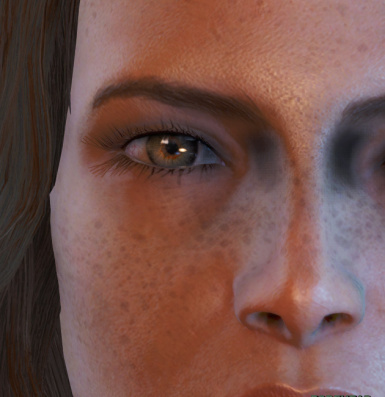 There appear to be two commonly-reported known issues: eyes disappearing and overlapping textures. These are due to the game not the mod. Fixes are in the Docs—>Troubleshooting section. The old All-in-One file has been moved down to Old Versions. Thank you to the many users who have posted! 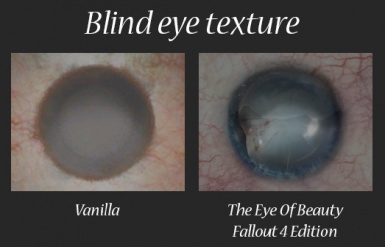 The eyes bulging out of the socket can be fixed by simply pushing the eyes into the head a little bit. No big deal there really. I'm having the same issues with Vortex. This is the only mod I've seen that triggers a permissions request, even when Steam and Vortex have been granted full permission already... strange. Hopefully this will be updated by the author soon. So many LooksMenu character presents require this mod! Using Vortex to install, the mod asked administrative permission to extract file, but takes a long time to install, over 10mins still counting , showing extracting status. None of the other mods that I have need to give administrative permission before and never take this long to install. The installation in NMM does not take this long as well. Same here -- asks for permission in the .installing subfolder, but neither "retry", nor "give permission", nor running Vortex in Admin mode works. I was trying to find any fixes for this but it seems that no one know at this point in time. I hope it gets sorted out soon. Should I just manually install it? 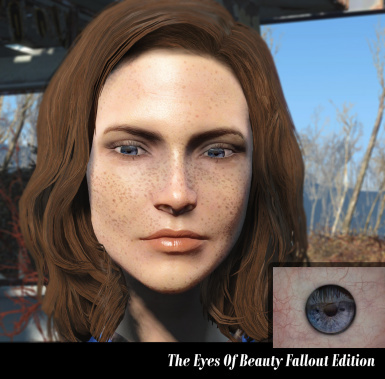 I used Vortex, loaded up the game, changed the eyes in LooksMenu.. and they stay the same default colour no matter what preset is selected, the glossy reflection works but changing eyes only changes the skin colour instead. What could this be? This sounds like the issue that was reported under "Eyes Still Brown" in the Bug reports. Two users provided suggestions. I was not able to replicate the issue on my end so I am not sure if these solutions work. If they do, though, please let me know and I will update the documentation! 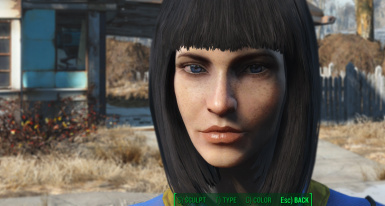 I was able to replicate this issue by creating a new "[Archive]" section at the bottom of a copy of Fallout4.ini. 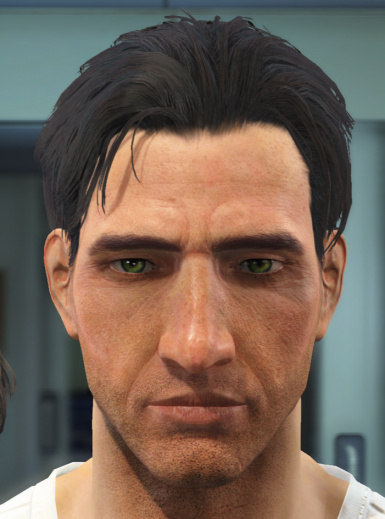 I believe those having this issue may have created Fallout4Custom by copying and relabeling the original Fallout4.ini file. 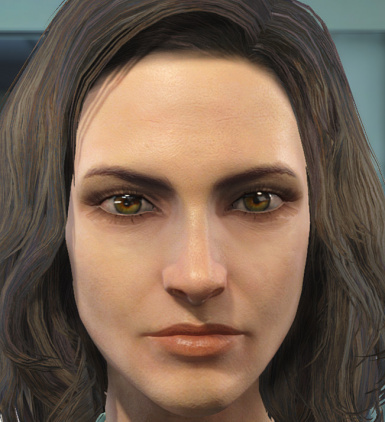 If you are still having this issue, try creating a new blank Fallout4Custom and adding the necessary lines to this file (so that they are the only lines in the .ini file). Check that folder, if it's empty copy the .dds files into there from the zip manually. My install won't work and I'm 99.99% sure I got the directions right. What got my attention is the path you mention. Mine goes : Fallout 4\data and stops there. There is no \textures. Is this a problem? 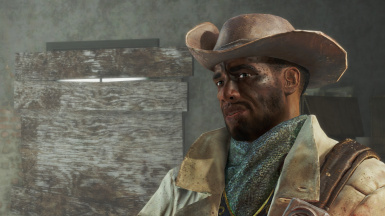 I just uninstalled and reinstalled FO4 from Steam. Question not addressed in Docs, I'm presently using version 2.0, should I just do the standard disable old version, install newest version then delete the old one routine? Thanks as always for an incredible mod! 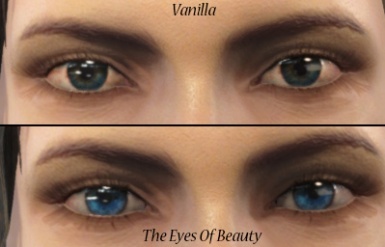 There were actually two old versions one where the .esp was called "The Eyes of Beauty.esp" (with spaces) and one where it was called "TheEyesOfBeauty.esp" (without spaces). The installer *should* detect the old one that you had installed, and, if you had "TheEyesOfBeauty.esp", default to installing the compatibility version with two plugins - one called "The Eyes of Beauty.esp" and a dummy plugin called "TheEyesOfBeauty.esp". 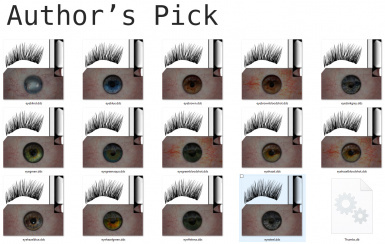 This will ensure you don't have black holes of doom for eyes when you sign onto an old save! 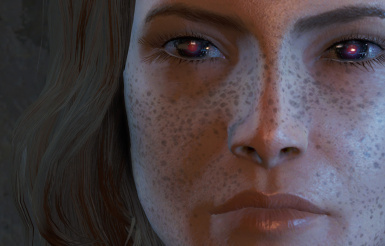 Then when you open an old save if you go into looks menu and select new eyes and save your character, you should be able to safely delete TheEyesOfBeauty.esp. Sorry! I know that's a bit confusing. 5. 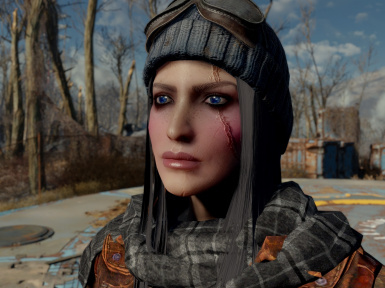 (Optional) Set Fallout4Prefs.ini and Fallout4Custom.ini files to Read Only. 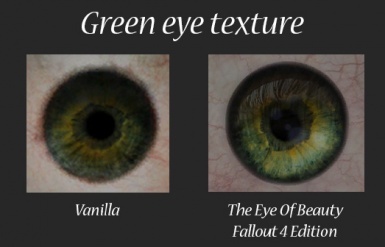 Some of the eye textures would look fantastic on synths. 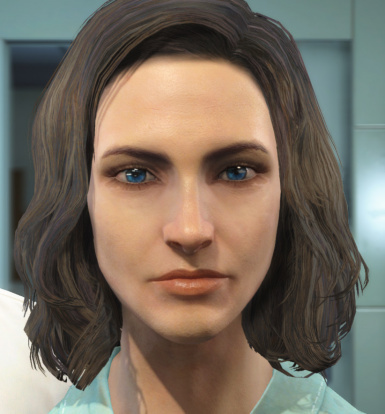 Any chance you could upload a version for the synth NPCs? When I try to apply them manually, the textures are not aligned properly with the synth model. Thank you and yes they would! I asked LogRaam (he's really the author/artist) about that a while ago and he did not have the time to put in to do that now. However, I have been using Valentine Reborn personally. 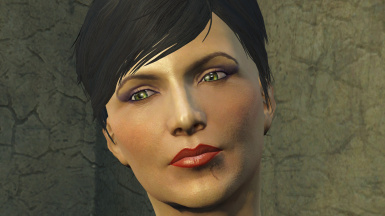 yo, I'm getting a bug where my eyes are popping out whenever i use the looking stranger plugin eyes and no matter what i do i cant fix it. I've tried looking through the posts and no solution has worked for me. Would you mind posting a pic? 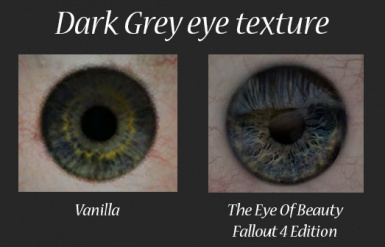 EDIT: it sounds like the overlapping texture issues, but I'd have to see a pic to confirm. 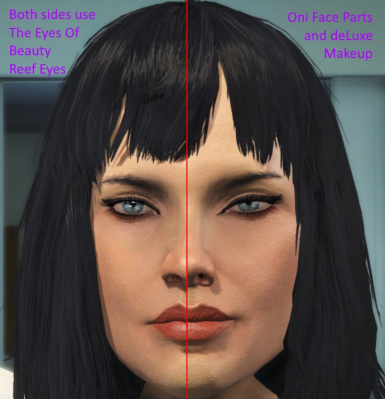 Try adjusting the eye lids / eye area to see if it corrects the issue. Okay, thanks. 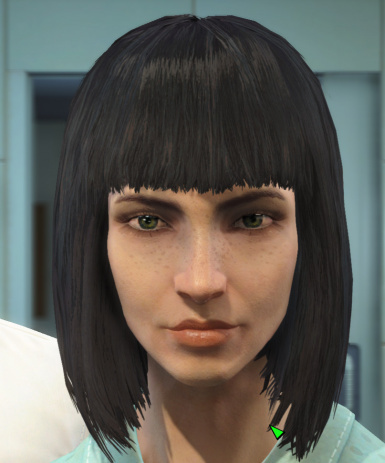 I can share that the Looking Stranger nif file does have some quirky issues (that is why the Looking Stranger author redid the whole mod in a different way). Hopefully something looks familiar when I see the picture. Then I'll read through the Looking Stranger error reports from back in the day will help me figure out what's going on (if I can). Oh good gawd! That's horrifying! The normal pic is awesome. Are you using any other mods with that? I'll start doing a bit of research and see what I can find. 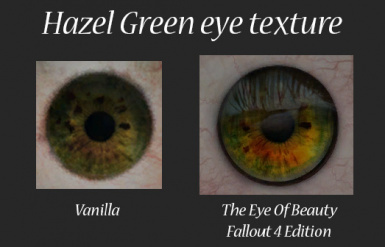 I think that is definitely a variation of the overlapping textures issue because you can see the eyelids on top of the eyeballs. No luck so far, unless it is somehow conflicting with another mod. 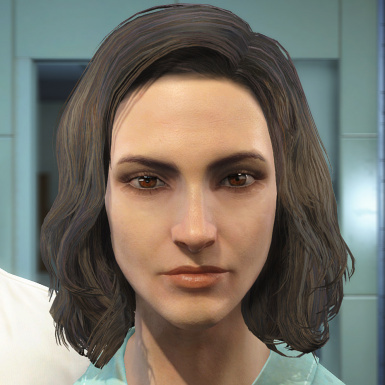 The new version of Looking Stranger has a ton of great eye options. That may be your safest bet. Sorry about all the trouble. 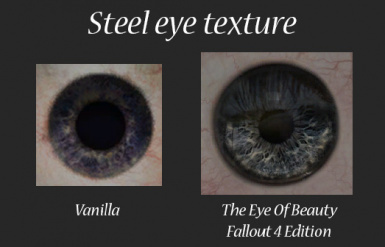 Warning to people with interest in this mod, I installed it and the textures are on top of the vanilla ones, so they dont exactly fully replace it, therefore the eyes look like they're bulging out of the socket. 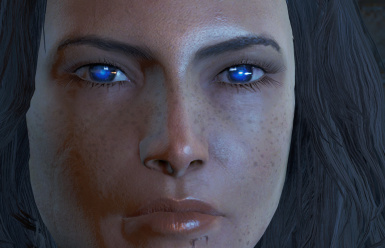 I uninstalled this mod and the problem still persists and I had to reinstall the game to fix it back to vanilla eyes. 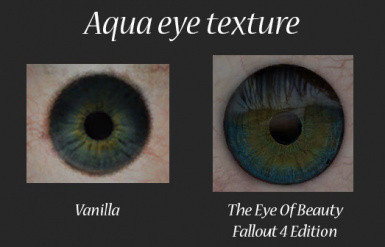 Issue: sometime the eye texture will overlap the model like if its pasted on top of Vanilla's. Unfortunately it's a bug from Fallout. 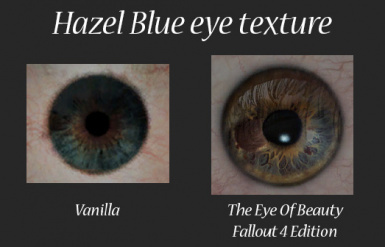 Solution: just alter the shape of your eyes and it will push back the texture to the right place." I have read this disclaimer too slygeezer, but like GobbiGob says, it still persists. 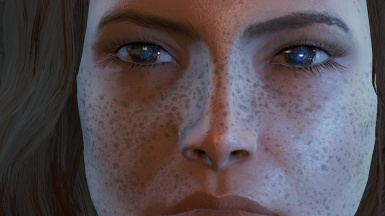 I have changed her eyes to every shape in the menu. Saved, quit, moved to another cell, tried again, and still her eyes look like they're glazed with motor oil if not also clipping through her eyelids. 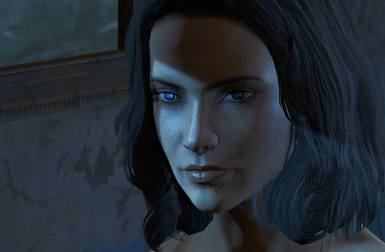 I'm at my wit's end as these eyes were fine before the update. I think Bethesda broke something. 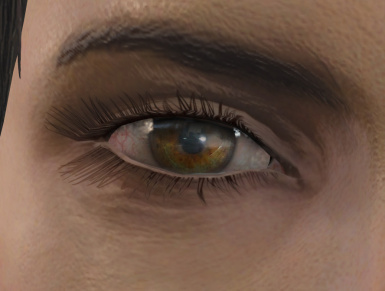 I love these eyes, but now any character I make looks like a dead vampire, lifeless, dark grey gloss with a hint of the eye color showing through and a lot of clipping depending on eye shape. What a shame. Thank you for the help slygeezer and ThatCombatMedic! I apologize if I missed responding to anyone's reports on this issue. I have tried to be diligent and mark them appropriately. If a reported issue is a duplicate issue, I point to that issue and mark it as duplicate. Please let me know if you have reported an issue and I forgot to respond. Sorry in advance!